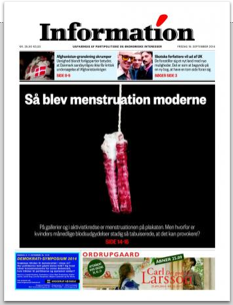 Moist So Moist is in one of Denmark’s biggest papers today along with other very cool menstruators! Check out Hysteria, who’s founder Bjørk Grue Lidin is featured in the article and Andrea Lind-Valdan’s youshouldpopstuff. Moist is much proud, wow.